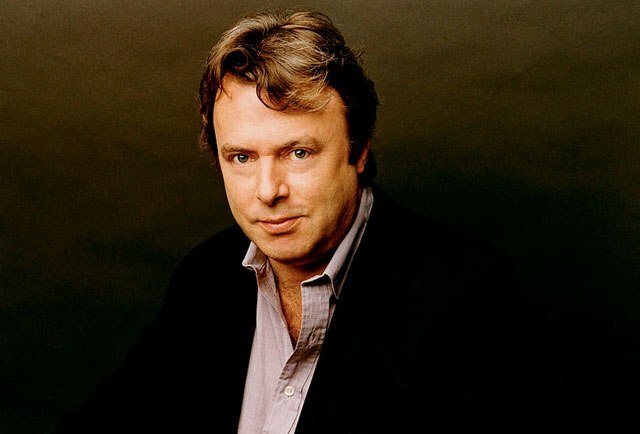 “I am badly oppressed by a gnawing sense of waste.” So says Christopher Hitchens, speaking to his inevitable death from cancer. Of course, being who he was, he loathed self-pity and sentimentality. That quote and context can be found in an immeasurably fascinating New York Times article about the newest literary subgenre: dying. That is, death has been a reoccurring theme in literature for as long as literature has been around, but the notion of self-documenting as you’re dying as a writer, that’s something new alongside the advent of social media and so forth. I find it such a fascinating subgenre because of the irony. Death is inevitable, but there is no literal self-documentation of it. Once you’re dead, that’s it. You’re alive and then you’re dead. Compound the finiteness of living with the above quote’s idea of withering and wasting away and it’s incredibly potent to me. On one level, I think all writers subconsciously fear the superficial deadline. In other words, the deadline that exists between taking a blank page/screen and turning it into words with sentences and paragraphs and pages that reaches the deadline in time. I know I certainly fear the hell out of it, but oddly enough, I fear not having a deadline even more. If I don’t have a deadline, then I certainly echo Hitchens (but in a different context) in that I feel I’ll waste a way in the protracted and maddening world of procrastination; it will seize hold of me until I am nothing and have done nothing. So, therefore, yes, I do appreciate the deadline. At a different level, though, and the level in which this article is mostly focused, there is of course the deadline of life; death. And writers are in a unique position, although maybe not wholly unique since there are other expressive mediums out there, to self-document inasmuch as up to the “deadline” as possible, this process. There is something profoundly remarkable about that to me. I keep going back to Hitchens’ line even as I write this because I fear that. There will be times where I have my laptop open, the “New Post” button for this blog has been clicked, good music is playing, maybe some research tabs have been opened and I’m just sitting there being “oppressed by a gnawing sense of waste.” I’m trying to will myself to defy this procrastination thorn that ever-so-often penetrates my mind by staring longingly at the screen, as if word will materialize right there for me. And then sometimes, miraculously, I write and I write and I write and the gnawing goes away…for now. Meghan O’Rourke poignantly notes, “For some of us, fear of death is ameliorated by faith in a world beyond ours; for others, the only compensatory religion is art.” I find that to be the case. I find a certain sense of solace in the arts, particularly writing, but other mediums too. There’s something oddly tangible about words on a paper because they are the dichotomy to a decaying physical body that can still “live” and “breathe” to us. She goes on to opine that we lack an ethics of death and perhaps, just maybe, that’s a good thing. I’m still digesting that, as I type this, but I do agree with her sentiment that we lack an ethics of death. It’s not something that we like to discuss. And it’s the damndest thing when it does happen. It comes in like a sweeping dark cloud over the horizon, envelopes you fully, then the blue skies return and somehow we’re supposed to keep on living as if we were never touched by that cloud. I really hope others take the time to read this article and digest its contents because it’s worth considering. Fascinatingly insightful, I think. Not to make light of Hitchens’ experience, but wouldn’t it be funny if God brought Hitchens back to life to write an epilogue for his book. Now that would garner some attention! Haha no, not at all, I laughed! My mind would be irrevocably blown, if such occurred!